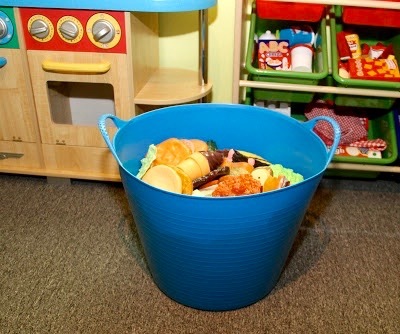 One of my favorite organizing solutions is Tubtrugs! While created as a gardening and lawn care tool, I've used them for everything but! I had them in the play room, my son's room, the kids' bathroom, the hallway and the closet! 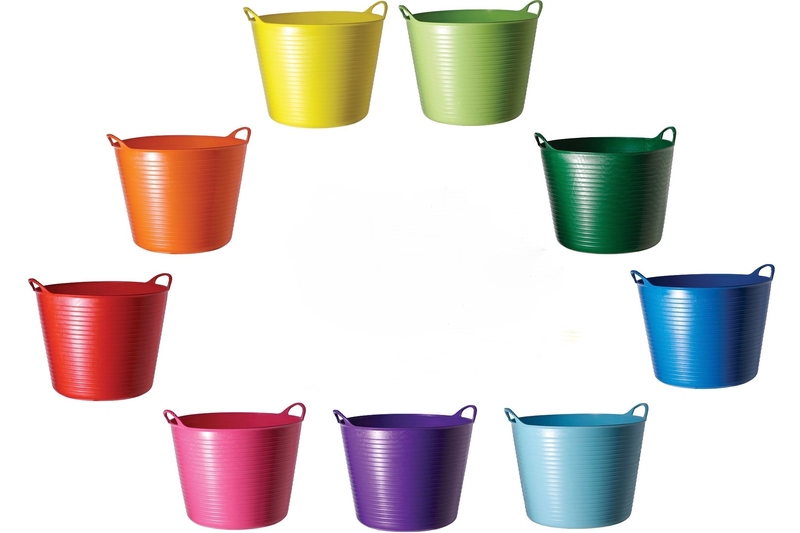 They're versatile, colorful and best of all, environmentally friendly. 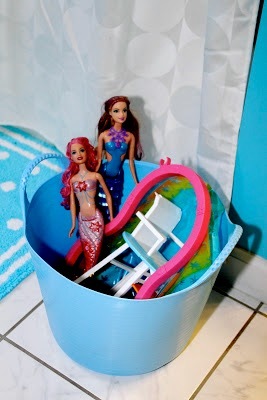 They may be on the pricier side for a storage bin, but I believe it's better to spend a little more for something that will is virtually indestructible and can serve a multitude of uses, including an ice bucket, a splash pool and even a sandbox! 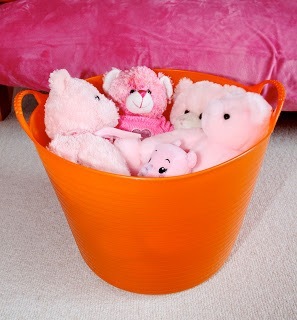 Do you love Tubtrugs as much as I do? Tell me about it! Play food, blocks, dress-up clothes, anything!